"Take a dive and see the 400 eerie “bodies” serving as the seed to a new artificial coral reef. 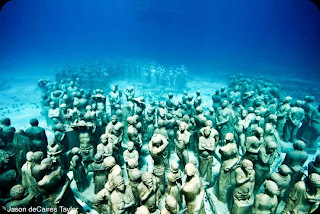 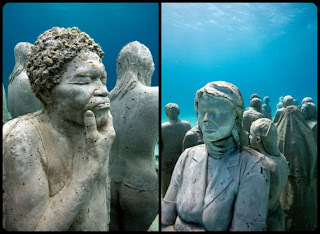 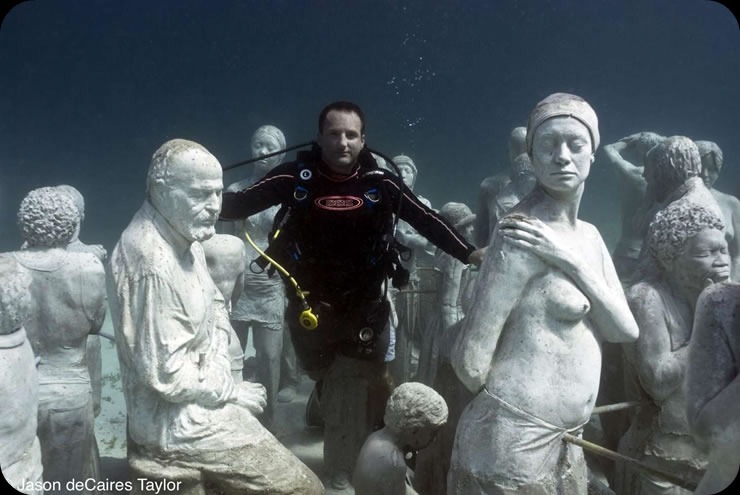 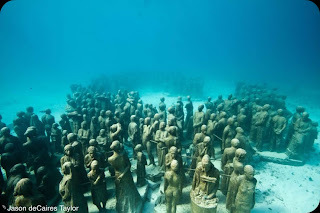 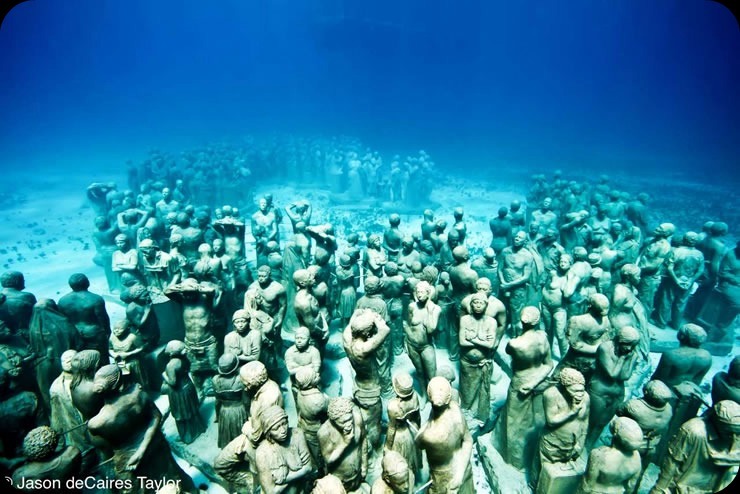 The underwater sculpture by Jason deCaires Taylor titled La Evolución Silenciosa (The Silent Evolution) sits ~30 feet under water off the coast of Cancun/Isla Mujeres, Mexico. The sculpture is made with material that attracts all types of sea critters; with time a spirited coral reef will spring to life in its place."